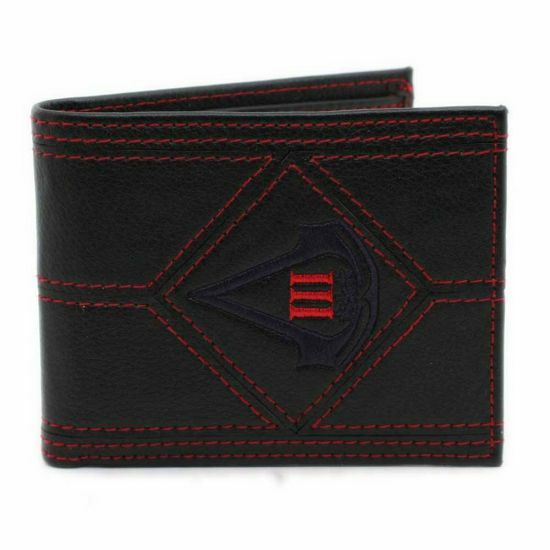 This Assassin's Creed III mens wallet makes an ideal gift for the gamer who frequently likes to assume the role of Altair! Based on the Assassin's Creed video game set in 1191 AD when the Third Crusade was tearing the Holy Land apart, this PVC wallet comprises three credit card inserts, a full length note compartment and a coin purse firmly secured by a press-stud. The Assassins Creed III bifold wallet is much more than just a safe place to keep dosh it proves the carrier is a real fan.